WHOLESALE: If you are interested in purchasing a wholesale order, please email me at zenspiredesigns@gmail.com Thank you! This is a hand drawn design made into a folksy die-cut sticker. 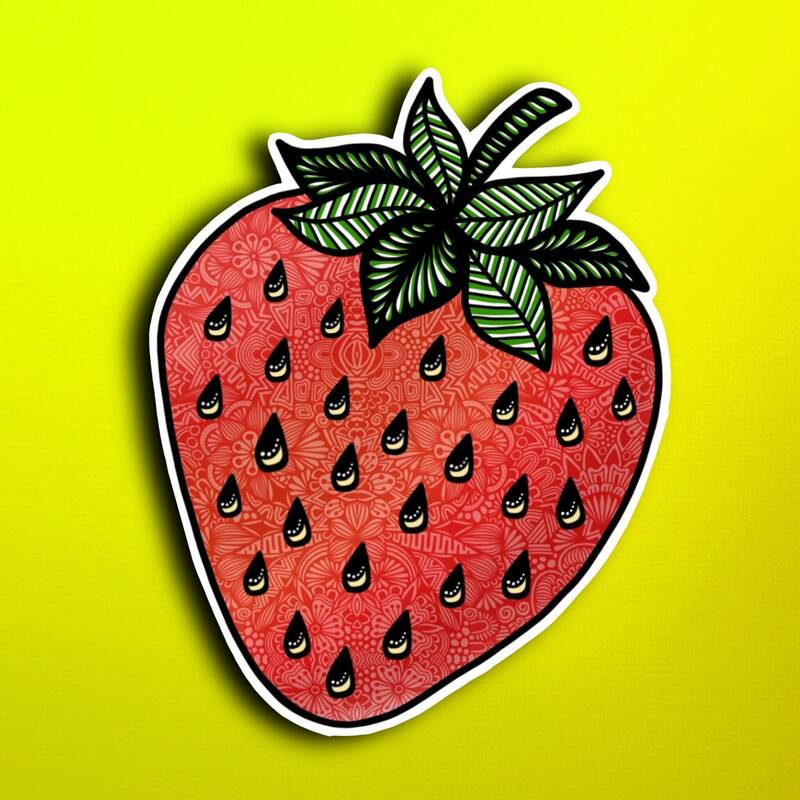 This sticker is 2.7 inch x 3.4 inch in size, perfect for a computer or anything you can put stickers on! These stickers are repositionable! All materials are 3-5 year weatherproof withstanding everything from sunny days to the harshest of weather. Durable for cars, dishwashers, and anything else you could think of. I accept payments via credit card and debit card, along with Etsy gift cards. I do my best to ship the items as soon as possible. Processing time depends on the items you buy. All items are shipped from Pittsburgh, Pennsylvania. Please contact me with any specific shipping questions. I stand behind the quality of my items. If you are unhappy with your purchase, please contact me so we can work something out. I will arrange to have the item returned and your purchase price refunded (less the cost of shipping and Etsy fees). If you have any questions at all, please do not hesitate to contact me directly. I will be more than happy to help with anything you may need.